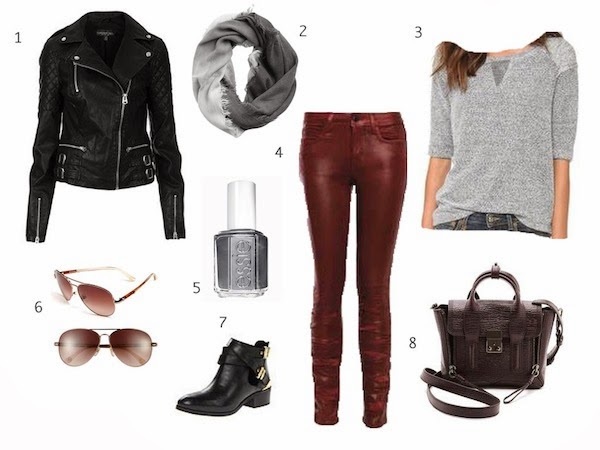 my fall wishlist this week is sporting lots of favorite leather looks and grays! this is definitely a look i am planning to rock this fall! what looks are your favorites for fall this year?! I'll take one of everything, please, and two of that jacket. Hot damn!